Are Millennials as broke as we keep hearing? We’re hearing a lot about Millennials, money and debt. Some conclusions, like the idea that student debt is a key roadblock for Millennials, seem to be repeated everywhere. Others conflict, like the differing analyses of home ownership rates among Generation Y. Most accounts have one thing in common, though: they’re not promising. The truth, as usual, is more complex than the headlines and soundbites would indicate. There’s no question that student loan debt is a significant obstacle for many Millennials. The average student loan debt for a college graduate has increased significantly in recent years, and the percentage of college students relying on loans has grown, too. To make matters worse, Millennials on average carry higher student debt than the overall average. Survey numbers vary, but hover in the neighborhood of $40,000. That’s a lot of debt for someone just starting out in the professional world, and we know that student loan default rates are running high. A recent survey conducted on behalf of Citizens Bank revealed that 59% of those between the ages of 18 and 35 had “no idea” when they might be able to pay off their student loans. Millennials—or, rather, some Millennials who are carrying student debt—are definitely worried. In fact, more than half of those surveyed said that they were sorry they’d incurred the amount of debt they had, and a third said they wouldn’t have gone to college at all if they’d fully understood the costs before they got started. Clearly, student loan debt is a problem for this generation, and a problem that’s more widespread than it’s been in previous generations. How widespread is it? While the headlines would have us believe that an entire generation is crippled by student loan debt, the simple truth is that not everyone goes to college, and not everyone who went to college is struggling with educational debt. 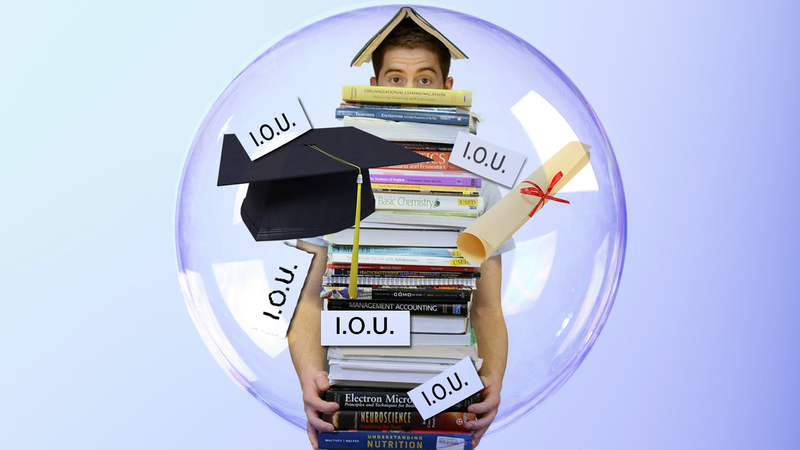 Student debt overwhelms some Millennials…but, there’s more to the story. Because “Millennial” is defined differently in different studies, it’s difficult to arrive at an exact figure. However, in a study by the Harvard Institute of Politics, 42% of those aged 18-29 reported that they or someone else in their household had student loan debt. The 2015 Millennial Money Mindset Report from iQuantifi, based on a survey of Americans aged 21-35 as of February, 2015, says 31% of Millennials have college debt. Payment level varies, of course: the total amount of student loan debt, interest rate, consolidation status, repayment plan and other factors impact the amount of a student loan debtor’s payment. According to a 2014 report on Millennials and Student Debt from New America, a 2012 graduate with an average student loan debt load pays about $312/month toward his student loans. 31-42% of a generation is significant, and $300+/month for a new graduate isn’t negligible, either. But, do those two numbers explain the financial despair of a generation we keep seeing in headlines? Just How Broke are Millennials? The simple answer is, “it varies.” Like any other generation, Gen Y is made up of millions of individuals whose circumstances are similar in some ways and entirely different in others. They face some shared challenges, including the high rate of student loan debt among them, a higher unemployment rate than the general population and a likelihood of being underemployed after graduating from college. On average, Millennials take longer to reach median wage levels than prior generations: age 30 in 2012 versus 26 in 1980. We’re told that they’re not buying homes (or even cars) because they can’t afford them, and they’re not saving money. But, data varies wildly. Earlier this year, a Facebook IQ report on Millennials and Money revealed that of the more than 70 million working-age Millennials on Facebook, 46% are considered affluent (annual household income of $75,000 or greater). 86% say they’re saving money, and other studies bear that out. About 1/3 of respondents to the iQuantifi survey owned stocks or mutual funds, and 82% said they currently had savings accounts, though balances were not reported. And, 94% of Millennial respondents to a Navient survey said they were saving money. Interestingly, those who took out student loans but didn’t complete their degrees reported the lowest level of savings, behind even those with only a high school diploma. Student loan default rates are highest among those who didn’t finish their programs, too. That’s no surprise, since those who don’t finish their programs are saddled with debt but don’t see the income boost a college degree can provide. The median income for households headed by young adults with some college but no degree is $24,000 lower than that of households headed by young college graduates. Overall debt levels among iQuantifi respondents were lowest in the 21-25 age group, with the highest level of debt attributable to those aged 31-35. That makes sense when you consider that those older Millennials have generally advanced in their careers, have higher median income and thus are more likely to be willing and able to take on obligations like car loans and mortgages. But, it calls into question the idea that student loan debt is the primary cause of Gen Y’s financial difficulties. Last year, Newsweek described Millennial college graduates as “young, educated, jobless”. While this characterization overstates the situation a bit, it’s not entirely off base. Unemployment rates for Millennials, while improving, remain far above the national unemployment rate. An analysis of Census data by the Center on Education and the Workforce at Georgetown University concluded that Millennials make up about 40% of unemployed adults in America. That’s more than 4.5 million unemployed young adults. Underemployment among recent graduates may have an even more significant impact. This isn’t a new phenomenon. The rate has hovered around 1/3 for 25 years or more. But, recent graduates in the post-recession era are considerably worse off. A recent staff report from the New York Federal Reserve reveals that the underemployment rate for recent college graduates continued to climb for several years after the recession, currently standing at 44.6%. About 25% of those underemployed graduates are working in office and administrative support positions. Though there’s some evidence to suggest that this underemployment—particularly at the lowest level, such as unskilled service jobs—is temporary, it may have a long-term impact on employment options and income levels. And, while most experts continue to argue that a college degree leads to much higher lifetime earnings, lifetime earnings don’t help to keep student loan debt current in those early years. Further, the underemployment of recent college graduates may impact the earning potential of their peers who do not hold college degrees. College graduates are much more likely to be employed at the high-earning end of jobs not requiring college than those without a degree. Thus, it stands to reason that as recent college graduates are unable to obtain appropriate employment and seek out non-college jobs, they are reducing opportunities and pushing down wages for those who didn’t graduate from college. It’s not just conventional wisdom that says Millennials are holding off on buying homes because of their student loan debt. For 75% of respondents to an American Student Assistance survey, student loans were a key factor in their willingness to purchase a home. Among those who were willing, student loans often created an obstacle to mortgage approval. The percentage of young adults living with their parents increased by 46% between 2007 and 2014. Still, the impact of student loans is just one narrow band in a much larger picture. The decline in home ownership isn’t limited to Millennials, either. Data assembled by The Reformed Broker last year shows that between 2004 and 2014, home ownership among those aged 25-34 has declined. But, a deeper dive into the numbers is revealing. Over the same time period, home ownership rates decline among every age group. While those aged 30-34 showed the largest decrease (down from 57.4% to 47.1%), the 35-44 group declined nearly as much (69.2% to 59.7%). Millennials are indeed less likely to own homes than those who were the same age a decade ago. So are Gen Xers, Baby Boomers and the elderly. There are, of course, many possible reasons for the decline in home ownership, the most obvious being the tidal wave of mortgage foreclosures that began in 2008. At the most basic levels, millions of people who were homeowners in 2004 no longer own those homes today. But, that’s only the beginning. The foreclosure crisis impacted the home ownership market in many ways that reach beyond the families who actually lost their homes to foreclosure. For generations, home ownership was viewed as a signal of stability and security in the United States. People viewed purchasing a home as an achievement, and saw their homes as financial investments. That perspective has understandably shifted for a significant sector of the U.S. population, and young adults are no exception. Just 21% of Millennials included in the Facebook Insights report listed owning a home as a signal of financial success. A clearer picture emerges, too, when we look back just a little further in history. Although home ownership is down across age groups from 2004-2014, those declines diminish significantly or disappear completely when 2014 rates are compared with 1994 rates. In that analysis, home ownership among those under the age of 25 have actually increased. Declines among those aged 25-34 are substantially smaller than the ten year rates. Among those 25-29 years old, home ownership rates dropped from 34.1% to 32.7%. Those 30-34 dropped from 50.6% to 47.1%. The 2004 snapshot includes a time period during which most of those who purchased homes during the subprime mortgage boom were still in their homes—a moment in U.S. history when mortgage terms were easier than ever before and the house of cards hadn’t yet come crashing down. Mortgage qualification requirements have tightened considerably since the bubble burst, meaning that those who are fresh out of school and haven’t yet established credit, accumulated savings or been continuously employed for a significant period of time have much greater difficulty qualifying for mortgage loans than similarly-situated young adults would have 10-15 years ago. In short, there are many reasons Millennials aren’t purchasing homes at the rate their predecessors did, and most of them have nothing to do with their student loan debt. Once considered both a necessity and a status symbol, new cars aren’t a high priority for most Millennials. In addition, today’s young adults simply don’t seem to have the same level of interest in ownership that prior generations did—and that goes beyond real estate. Recent research by Goldman Sachs showed that only 40% of young adults felt that owning an automobile was important. 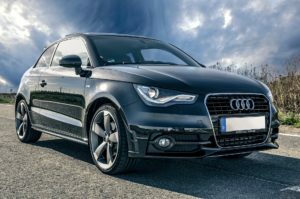 30% said they didn’t intend to purchase a vehicle in the near future, and another 25% said they’d consider buying if they really needed one but were otherwise indifferent. One of the most recent hot stories proclaimed that Millennials weren’t willing to give up food delivery to pay off their student loans faster. That kind of soundbite makes it easy to dismiss the economic realities of young adults today, but does it paint an accurate picture? When you’re facing down debt that exceeds your annual salary, it’s easy to see how cutting out $25/week or so in pizza delivery wouldn’t seem like a worthwhile trade-off. Though the extra $100/month would actually make a significant difference in payoff date, for the average recent graduate that date would still be more than ten years in the future. Thinking about that bright day 12.5 years from now when your student loans will be paid off can be difficult when you’re underemployed and living paycheck to paycheck. To make matters worse, Millennials across several surveys have indicated that they have no one they trust to turn to for financial advice. They’re largely trying to untangle their complex financial worlds on their own, or with input from their peers. The truth is, there is no nutshell summary that applies to Millennial finances. Their rates of home ownership are lower than those of similarly-aged Americans a decade earlier, but that shift is influenced by many factors, including shifting priorities and a dramatically altered mortgage/home purchasing landscape. Student loan debt significantly impacts a sector of this population, but doesn’t tell the whole story. Nearly half of their college graduates are underemployed, but it remains to be seen to what degree their employment and income circumstances will improve as they grow older and more experienced. Those among them who are not college-educated may find their employment opportunities limited by the fact that so many degreed Millennials have been pushed into non-college jobs. They’re often portrayed as self-centered and self-indulgent, but 87% of Millennials—which necessarily includes many who are struggling financially themselves—made monetary donations to charities in 2013. 12% donated more than $1,000. They have a lower median net worth than young adults in 2001, but so do middle-aged adults. In fact, Millennial net worth has declined less than that of middle-aged Americans. Median net worth for young adults in 2001 was about 10% that of adults aged 35-50; by 2013, that ratio had risen to 14%. Solving a generation’s financial challenges is simple if the problem is student loans. It’s easy to ignore if the problem is laziness and self-indulgence. It’s quite a bit more complicated when we recognize that there are multiple contributing factors, and that those factors impact different sectors of the generation very differently. Reality being what it is, I don’t have a single-paragraph suggestion to stabilize the finances of millions of Americans in relatively short order…and anyone who claims to should be viewed with a high degree of skepticism. There are, however, some clear steps that will take us in the right direction. The federal government, colleges (particularly high-priced for-profit institutions), students, parents and even the media contributed to creating the current student loan problem. None of them can fix it alone. That will require a re-assessment of how student loans work, when they’re offered, and in what amounts. It will require an effort to make higher education more affordable, and it will require a more realistic assessment of when and for whom it makes sense to go to college. Similarly, the mortgage industry and real property values are still stabilizing, and no one element will resolve all of the chaos created by the subprime boom and the subsequent foreclosure crisis. Those changes are forcing prospective home owners to make more realistic decisions, or to have those realities imposed upon them by newly cautious lenders. It’s worth noting that these two areas that have dramatically impacted the U.S. economy in recent years have both been sold to young people as holy grails of a sort. Home ownership was painted as the American dream, and a path to security. A college education was and still is billed as the route to “higher lifetime earnings,” often without regard to the short-term and long-term costs of financing an education. It’s not hard to see why so many Millennials say they have no trusted sources of financial advice. Though there’s no quick or one-size solution to the problems this generation faces, one powerful tool will be the emergence of trusted voices from among their own generation—people who have taken the time and trouble to understand the issue in depth rather than going for the catchiest sound bite or headline. Are you hearing those voices? If so, please share with us in the comments. Is Debt Impacting Your Social Life?